This weekend, the revered annual Ladyfest makes its glorious return to the 412, bringing forth female artists from every corner of the city. 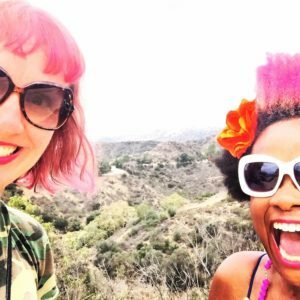 Kicking off in 2002–and formerly known as Vulvapalooza–founders Athena Kazuhiro and Steph Flati have continued to progress through growth and revival of the lady-centric celebration. 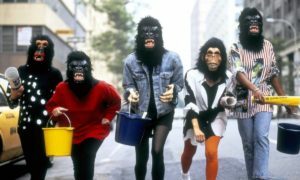 Ladyfest continues to grow with a focus on community-empowered women, and celebrating DIY feminist arts and activism. All proceeds from the festival are donated to the Women’s Center and Shelter. From July 15-17, several curated events will take place at select venues around the city, including: The Shop, Howler’s, Spirit, Hambone’s, and Roboto. Peep the nights’ lineups online to find out where to catch your favorite performers. 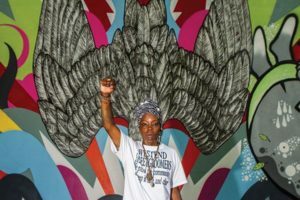 Through past experience, spoken word and lyricism, artist-activist Blak Rapp Madusa takes the hip hop movement by storm while sharing stories of social justice and change. 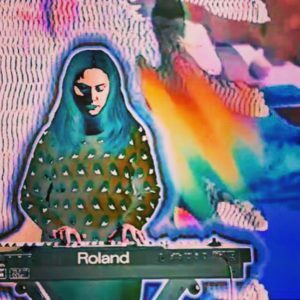 Get inspired by her words and vibe out to her set at Howler’s this Friday, July 15. In addition to helping organize Ladyfest’s production alongside local band, The Lopez, grunge-core outfit Brazilian Wax brings the noise and the sass to Spirit this Saturday. Catch the Pittsburgh punk-rock trio close out the night’s performances on July 16. Headed by multi-instrumentalist and leading lady, Jennifer Baron, The Garment District brings forth a sonic, psychedelic soundscape for your listening pleasures July 16 at Spirit. Check out TGD’s “Secondhand Sunburn” track on the first-ever Ladyfest Pittsburgh compilation album, a special new perk pass holders will receive at this year’s fest. Get down and groovy to a soulful set from The Telephone Line at Roboto this Sunday. 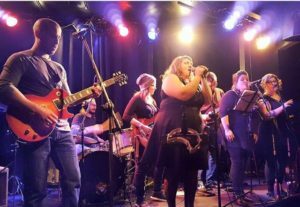 The local collective will heat up the dance floor with their signature combo of funk, pop, soul, and rock n’ roll on July 17. Ladyfest presales ($25 weekend passes) are now available online, and tickets ($8-$10) will also be sold at the doors. Come out to celebrate our city’s talented, empowered female community all weekend long in the Burgh!